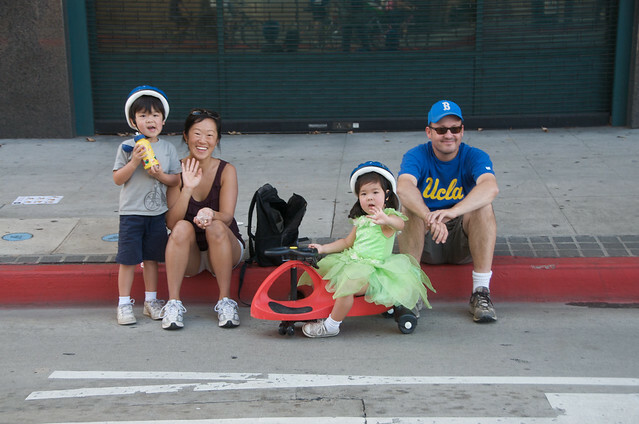 Open streets for Angelenos October 9. 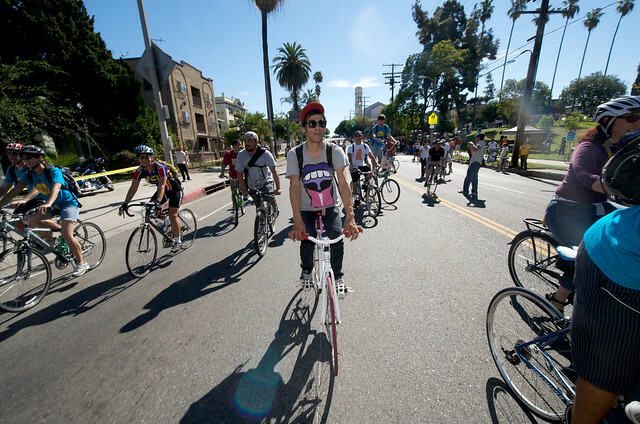 CicLAvia! We love Los Angeles and all its colors, textures, tastes and smells, which is why we are so excited that the season for one of our favorite (now recurring events!) is now upon us. 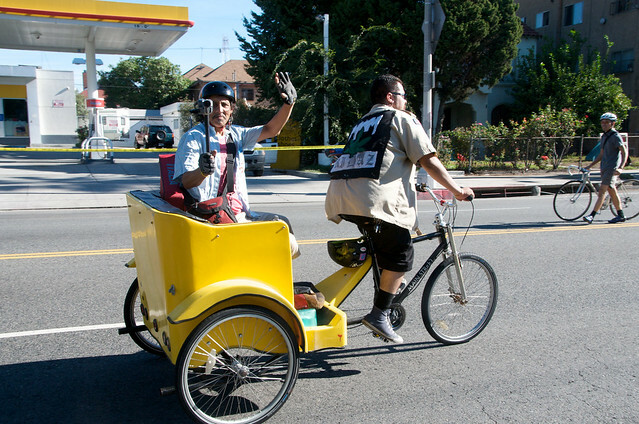 Mark your calendars this October 9, 2011 when CicLAvia opens about 10 miles of LA’s streets for Angelenos. 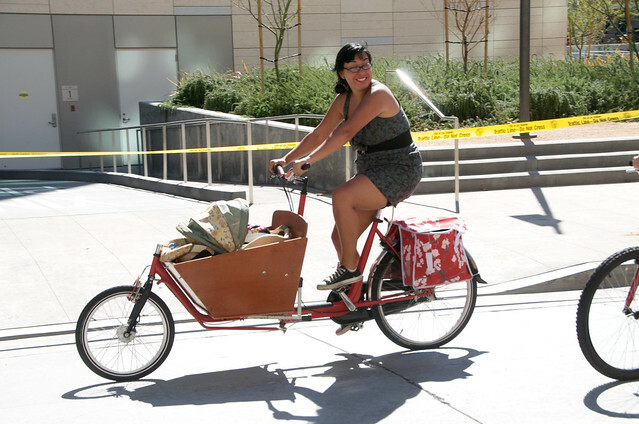 CicLAvias were inspired by Ciclovías in Bogotá, Colombia, where they close 80 miles (!) of streets each week (!) so people can play, bike, skate, run around their city. Even pets were welcome to the party! Nori had friends to play with too! We saw families, friends, people on dates all enjoying Los Angeles sunshine together. It’s a far cry from the usual traffic congested city most of us have to deal with everyday. For a few hours, Los Angeles (at least a part of it) was one big park. How cool is that? We’re getting our bike oiled and ready. Hope to see you there! Get more info on CicLAvia at ciclavia.org. * CC Licensed photos by: Gary Leonard with additional photos from Poketo.